According to an Associated Press article, the JMA stated that at 0739 on 8 November an eruption occurred at Komaga-take, which is 710 km NE of Tokyo on Japan's northernmost island of Hokkaido. The eruption produced an ash cloud and coincided with 10 minutes of volcanic tremor. Ashfall was reported in the nearby town of Shikabe, but due to cloudy conditions the height of the ash plume was not observed. The volcano had previously erupted on 4 and 28 September, and 28 October 2000. The last reported volcanic activity at Komaga-take was a small-scale phreatic eruption on 25 October 1998 (BGVN 23:09). After 1998 there were no reports of volcanism until September 2000 when small eruptions occurred on the 4th and 28th. Komaga-take, about 120 km SW of the prefectural capital Sapporo, erupted at 2214 on 4 September. According to a Bernama news article, Hokkaido University Professor Hiromu Okada stated that he did not see any fresh cracks or crevices in the volcano when he observed it by helicopter the day after the eruption. He added that "there were many cinders popping out in a wide area ." The same day the Sapporo District Meteorological Observatory reported that a column of "smoke" rose up to 500 m above the volcano. According to the Bernama article, local authorities issued volcano warnings to the 60,000 residents of Mori, ~10 km NW of the volcano, and four other nearby towns. An Associated Press article reported that according to the observatory, a small amount of ash was observed on the ground in a town NW of the volcano. The Tokyo VAAC reported that no ash cloud was visible on GMS-5 imagery. 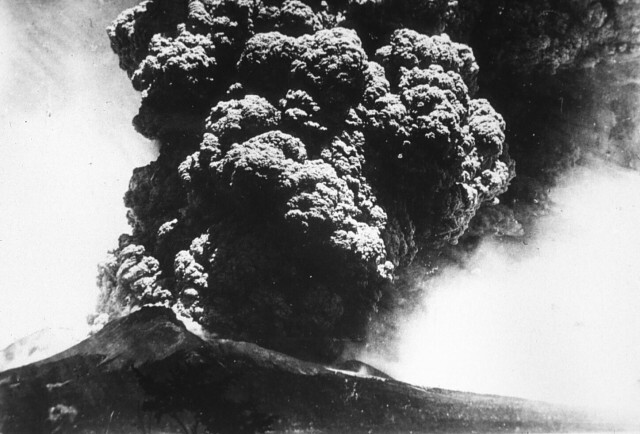 The volcano erupted for a second time on 28 September, but inclement weather inhibited observations. 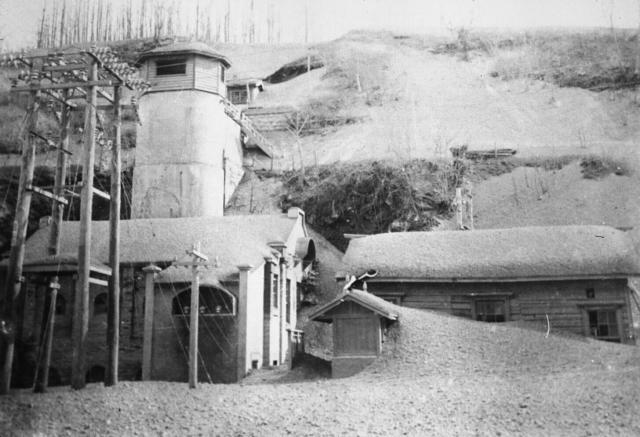 According to an Associated Press article, Hisao Hashimoto stated that a light coating of ash covered cars in a town at the base of the volcano. There were no reports of injuries or damage. Information Contacts: Tokyo VAAC (URL: http://ds.data.jma.go.jp/svd/vaac/data/); Bernama-dpa (URL: http://www.asiapac.net/bernama/prwire/); Associated Press (URL: http://www.ap.org/). Seismicity has generally remained low since 1966 when JMA installed a sensitive seismometer (2,000x magnification) 4.1 km WSW of the summit crater. This low level was punctuated during recent years by several swarms of small earthquakes. On 13 June 1983, 19 earthquakes were recorded from 1842 until 1900. At 1416 on 3 December 1989, a shock (M 3.4) felt at the base of the volcano was located 7 km N of the summit at 4 km depth by the seismic network. Twenty small earthquakes were recorded in the next 4 hours and roughly 50 from 0034 to 0144 on 7 April 1990. The wave form and character of the 7 April swarm was very similar to that of the 1983 swarm, but different from that of December 1989. Despite the increased seismicity, steady weak steam emission from the fumarolic area on the summit continued unchanged as of early June. In the early evening of 5 March, >=6 minutes of large amplitude volcanic tremor registered and during the night an eruption began. The monthly record of earthquakes from 1966 until the eruption showed little in the way of a diagnostic rise prior to the eruption (figure 1). The above mentioned tremor was detected at the local Japan Meteorological Agency (JMA) seismic station (4.1 km WSW from the crater). Tremor was also noted by Usu Volcano Observatory (UVO), which maintains five seismic stations. On 5 March UVO recorded 5 minutes of premonitory tremor and an abnormally high number (> 10) of small volcanic earthquakes. Prior to the heightened seismicity, UVO researchers found continuous extension of Komaga-take's 1929 crater area begining in 1989, and their leveling survey in November 1995 showed a reversal from subsidence to uplift. Figure 1. Monthly number of earthquakes of Komaga-take recorded at JMA's local seismic station in the years 1966-96. An eruption took place in early March 1996. Courtesy of JMA. 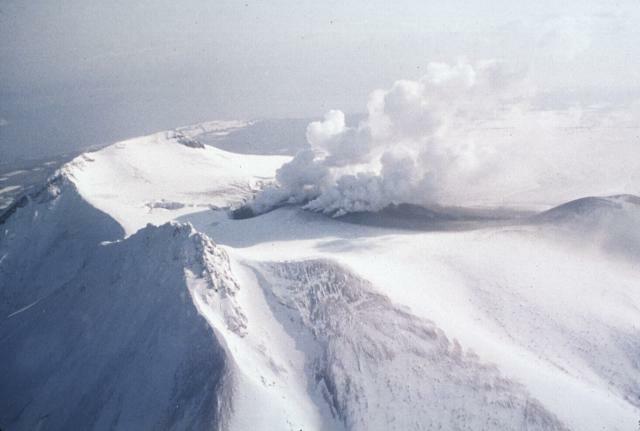 On the morning of 6 March JMA reported that a white plume rose to 150 m above the summit and ashfall was visible for >10 km from the summit on the SSE flank. According to Tad Ui, who made observations from a helicopter during the morning of 6 March, steam-dominated eruption clouds rose from inside the craters of the 1929 eruption and also from new, 100-m-long, N-S trending fissures S of the craters. He estimated the cloud height at around 400 m. Ashfall covered new snow; no mudflows were observed. Videos taken around this time by the press and local residents showed violent, gray, ash-laden clouds jetting from newly formed fissures. On 8 March, a white-colored plume was 900 m above the summit. By 12 March, eruptive activity declined. Post-eruption seismicity was weak: tremor was not observed from 5 March to as late as 10 March, and after 6 March small earthquakes occurred several times a day. An aviation notice on 7 March stated that the top of the ash cloud was at ~1,500-m altitude (~300 m above the summit) and drifting SE; a notice the next day reported ash to ~1,700 m altitude drifting W. Notices were again issued on 13 and 19 March for ash clouds to ~1,300-m altitude. Ui and other scientists from Hokkaido University will analyze new products; preliminary analysis suggested that the initially erupted tephra contained little fresh glass, and other magmatic materials appeared absent. 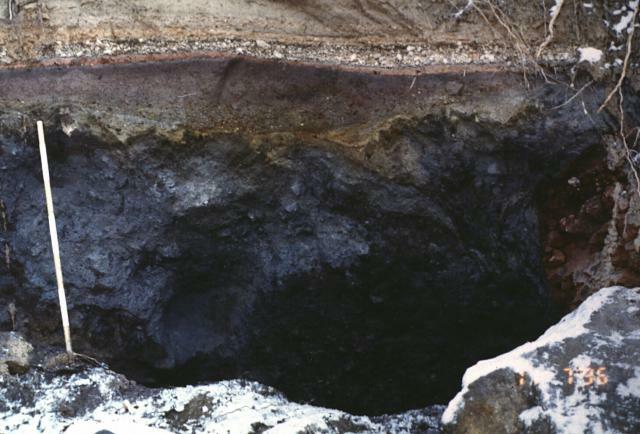 The mass of tephra erupted in this event was estimated at ~25,000 tons. Residents evacuated the night of 5 March were permitted to return on 8 March. Small phreatic eruptions of the kind witnessed beginning on 5 March 1996 could be precursors to larger explosions. Phreatic eruptions were observed during June 1919, and in June 1929, prior to larger events. Information Contacts: Tadahide Ui, Hokkaido University, Grad School Sci., Kita-ku, Sapporo 060 Japan; Usu Volcano Observatory (UVO), Faculty of Science, Hokkaido University, Sohbetsu-cho, Usu-gun, Hokkaido 052-01 Japan; Volcanological Division, Seismological and Volcanological Dept, Japan Meteorological Agency (JMA), 1-3-4 Ote-machi, Chiyoda-ku, Tokyo 100 Japan; Setsuya Nakada, Volcano Research Center, Earthquake Research Institute, University of Tokyo, Yayoi 1-1-1, Bunkyo-ku, Tokyo 113, Japan (URL: http://www.eri.u-tokyo.ac.jp/VRC/index_E.html); Bureau of Meteorology, Darwin, Australia. Volcanic tremor was registered for six minutes starting at 1810 on 5 March by the JMA station 4.1 km WSW of the crater. During this activity, two main vents opened on and near the S side of Showa 4-nen (1929) crater. A line of vents extending ~200 m N-S formed on the S part of the crater floor. Strong eruptive activity was observed until 7 March and then decreased. Volcanic earthquakes had increased somewhat prior to the eruption, but seismicity remained low afterwards through mid-April. Activity has declined since the eruptive events of March when two vents opened on and near the S side of Showa 4-nen (1929) crater, and a line of vents extending ~200 m N-S formed on the S part of the crater floor. The height of the gas plume remained at 100-200 m. A volcanic earthquake occurred on 15 May. No volcanic tremor was observed. Komaga-take sits 30 km N of Hakodate City (population 320,000). The andesitic stratovolcano has a 2-km-wide horseshoe-shaped caldera open to the E. The volcano has generated large pyroclastic eruptions, including major historical eruptions in 1640, 1856, and 1929. In the 1640 eruption, debris from a partial summit collapse entered the sea resulting in a tsunami that killed 700 people. Although the 1929 eruption was one of the largest 20th century eruptions in Japan, it may not have had clear geophysical precursors. Information Contacts: Japan Meteorological Agency (JMA), Volcanological Division, Seismological and Volcanological Department, 1-3-4 Ote-machi, Chiyoda-ku, Tokyo 100, Japan. The Japan Meteorological Agency (JMA) issued an advisory and three observation reports concerning Hokkaido-Komaga-take volcano on 25 October following a small-scale phreatic eruption that began at 0912 the same day. Ash rose in a column to a height of ~1,200 m above the crater. The eruptive activity soon declined. There were no report of injuries or damage caused by the eruption, and no evacuation order was issued. Volcanologists surveyed the activity from a helicopter the afternoon of 25 October (figure 2). 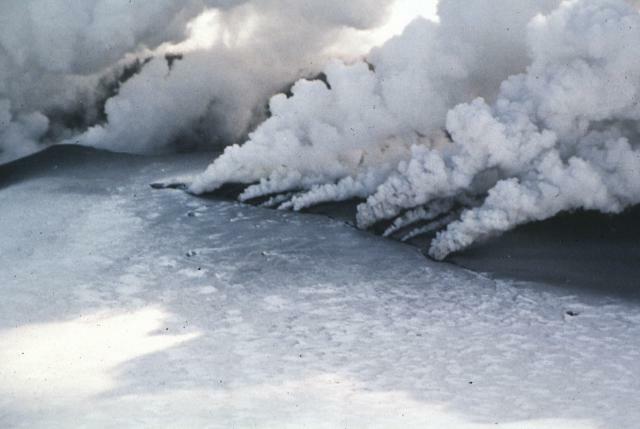 They reported that the eruption originated from the same crater that opened during the 1929 eruption, which was also the site of the March 1996 eruption. Ash covered a significant area around and to the E of the crater. The scale of this eruption apparently was smaller than that of the March 1996 eruption. Figure 2. An aerial view of Komaga-take showing fuming activity from the 1929 Crater about 6 hours after the 25 October 1998 eruption. View is from the SE looking towards the Komanose Rim (back) and the Sawaradake Rim (back right). The 1942 Large Fissure (middle, diagonal) and the 1996 Southern Fissure Crater (middle center) can also be seen. Hyoutan Crater (front center) is adjacent to the 1929 Crater. Photograph by Bousai Heli; courtesy of Hiromu Okada, Usu Volcano Observatory. Volcanic tremor lasting six minutes was associated with this eruption. In addition, five volcanic earthquakes were recorded in the 12 hours following the first eruption signs. Komaga-take is located 30 km N of Hakodate City (population 320,000). The andesitic stratovolcano has a 2-km-wide horseshoe-shaped caldera open to the E. The volcano has generated large pyroclastic eruptions, including major historical eruptions in 1640, 1856, and 1929. In the 1640 eruption, debris from a partial summit collapse entered the sea resulting in a tsunami that killed 700 people. Although the 1929 eruption was one of the largest 20th-century eruptions in Japan, it may not have had clear geophysical precursors. Information Contacts: J. Miyamura, Sapporo District, Japan Meteorological Agency, 1-3-4 Ote-machi, Chiyoda-ku, Tokyo 100, Japan; Hiromu Okada, Usu Volcano Observatory, Institute of Seismology and Volcanology, Hokkaido University, Sohbetsu-cho, Hokkaido 052-0103, Japan. Much of the truncated Hokkaido-Komagatake andesitic volcano on the Oshima Peninsula of southern Hokkaido is Pleistocene in age. The sharp-topped summit lies at the western side of a large breached crater that formed as a result of edifice collapse in 1640 CE. Hummocky debris avalanche material occurs at the base of the volcano on three sides. Two late-Pleistocene and two Holocene Plinian eruptions occurred prior to the first historical eruption in 1640, which began a period of more frequent explosive activity. The 1640 eruption, one of the largest in Japan during historical time, deposited ash as far away as central Honshu and produced a debris avalanche that reached the sea. The resulting tsunami caused 700 fatalities. Three Plinian eruptions have occurred since 1640; in 1694, 1856, and 1929. Katsui Y, Komuro H, 1984. Formation of fractures in Komagatake volcano, Hokkaido. Hokkaido Univ Fac Sci Jour, 21: 183-195. Katsui Y, Suzuki T, Soya T, Yoshihisa Y, 1989. Geological map of Hokkaido-Komagatake volcano. Geol Surv Japan, 1:50,000 geol map. Katsui Y, Yokoyama I, Fujita T, Ehara S, 1975. Komagatake. Report of the Volcanoes in Hokkaido, Part 4. Sapporo: Committee Prevention Natural Disasters Hokkaido, 194 p (in Japanese). Murayama I, 1987. Volcanoes of Japan (I). Tokyo: Daimedo, 315 p (2nd edition, in Japanese). Nakagawa M, Furukawa R, Yoshimoto M, 2003. Calderas and active volcanoes in southwestern Hokkaido. IUGG 2003 Field Trip Guidebook, Volc Soc Japan, p 1-35. Nakagawa M, Nogami K, Ishizuka Y, Yoshimoto M, Takahashi R, Ishii E, Egusa M, Miyamura J, Shiga T, Okazaki N, Ishimaru S, 2001. 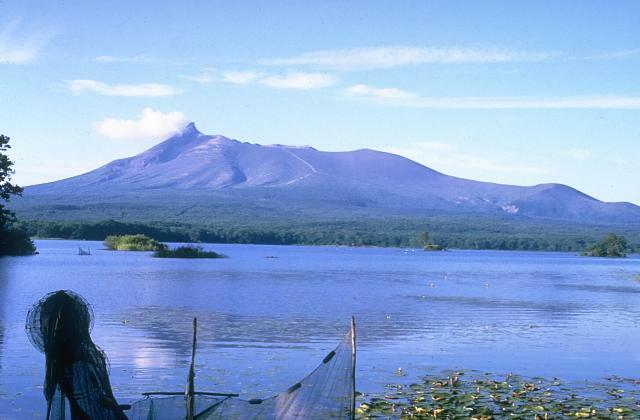 The 2000 eruption of Hokkaido-Komagatake volcano and its significance: evidence for increasing effect of magma deduced from temporal variations of eruptive materials and adhered gas component on ash. Bull Volc Soc Japan (Kazan), 46: 295-304 (in Japanese with English abs). Takahashi R, Nakagawa M, Nakanishi K, Yoshimoto M, 2004. The 1942 eruption of Hokkaido-Komagatake volcano was phreatomagmatic. Bull Volc Soc Japan (Kazan), 49: 129-142 (in Japanese with English abs). Takeuchi S, Nakamura M, 2001. Role of precursory less-viscous mixed magma in the eruption of phenocryst-rich magma: evidence from the Hokkaido-Komagatake 1929 eruption. Bull Volcanol, 63: 365-376. Yoshimoto M, Furukawa R, Nanayama F, Nishimura Y, Nishina K, Uchida Y, Takarada S, Takahashi R, Hirohisa K, 2003. Subaqueous distribution and volume estimation of the debris-avalanche deposit from the 1640 eruption of Hokkaido-Komagatake volcano, southwest Hokkaido, Japan. J Geol Soc Japan, 109: 595-606 (in Japanese with English abs). Yoshimoto M, Ui T, 1998. The 1640 sector collapse of Hokkaido Komagatake volcano, northern Japan. Bull Volc Soc Japan (Kazan), 43: 137-148 (in Japanese with English abs). Remarks: Ground subsidence is associated with the 1996 and 1998 phreatic eruptions. Reference List: Jousset et al. 2000. There is no Emissions History data available for Hokkaido-Komagatake. 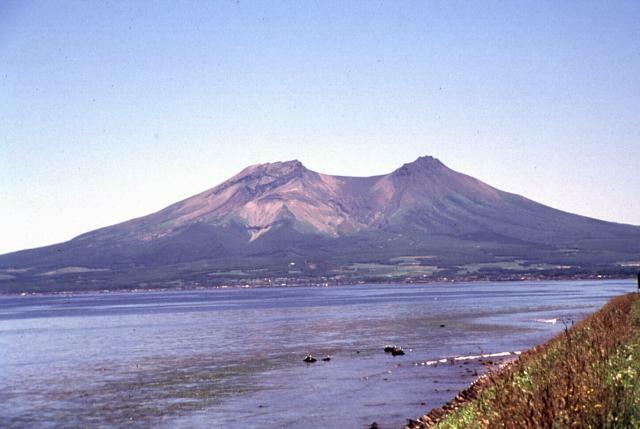 The truncated Komaga-take volcano on the Oshima Peninsula of southern Hokkaido rises to the north above Lake Onuma. Komaga-take is one of the most active volcanoes of Japan's northernmost island. 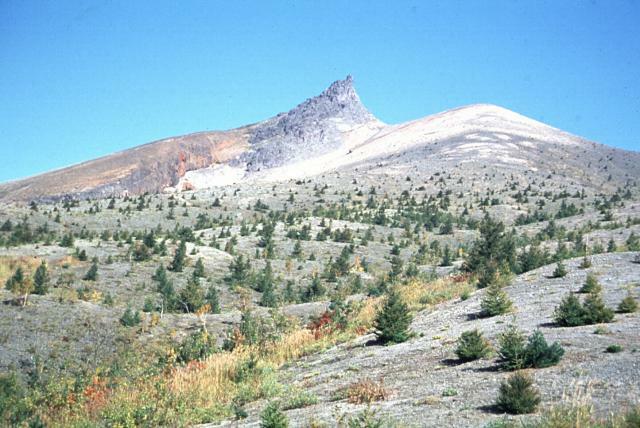 The sharp-peaked summit is the rim of a breached crater that formed as a result of edifice collapse. Hummocky debris-avalanche deposits were responsible for the formation of Lake Onuma. A period of more frequent explosive activity began with a major explosive eruption in 1640, one of the largest in Japan during historical time. Photo by Ichio Moriya (Kanazawa University). 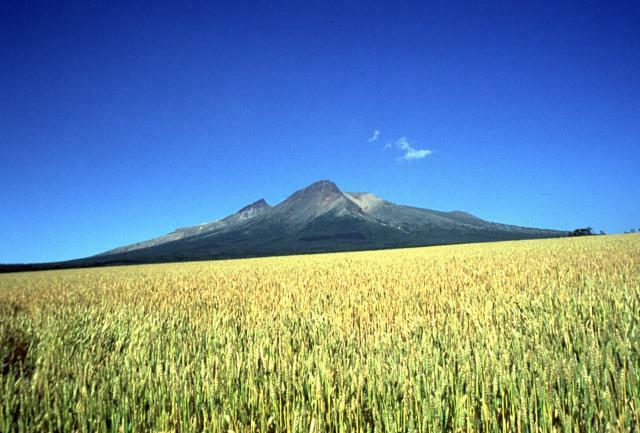 The two summit peaks of Komaga-take, seen here from the NW, are remnants of a horseshoe-shaped crater created by collapse of the volcano to the NW during prehistorical time. Several episodes of growth and collapse have occurred at Komaga-take. The most recent took place in 1640, when the volcano collapsed to the east. Photo by Mitsuhiro Yoshimoto, 1995 (Hokkaido University). The summit profile of Komaga-take volcano changes dramtically depending on the direction of view. From the WSW the apparent highest point, at the center, is the rim of a horseshoe-shaped caldera that is breached to the east (right). The sharp peak at the left is Kengamine, the actual summit of the volcano, which is part of the back rim of the caldera. This outcrop, 5 km SW of the summit of Komaga-take, shows a cross section of varied deposits from the 1640 eruption. The dark blocky area at the base is a debris-avalanche deposit produced by collapse of the summit. The reddish-gray area above the ruler is a blast deposit related to the avalanche. 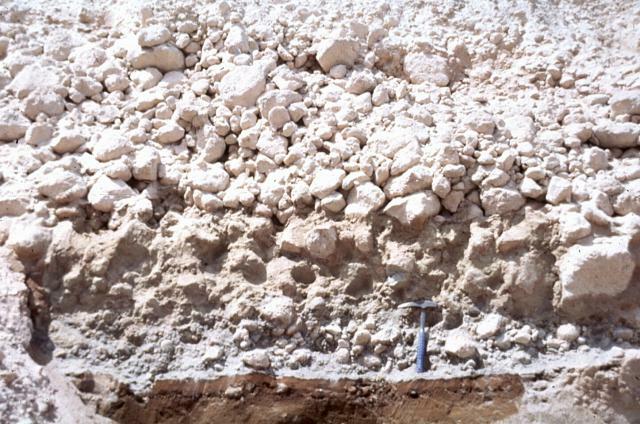 The thin white unit above the blast deposit is a layer of airfall pumice, which is much thicker at other locations closer to the axis of tephra deposition. The top of the section is a pyroclastic-flow deposit. The steaming source vents of the 1996 eruption of Komaga-take volcano are seen in this March 7 view of the summit of the volcano from the west. A phreatic eruption began the evening of March 5 and deposited ash on snow. 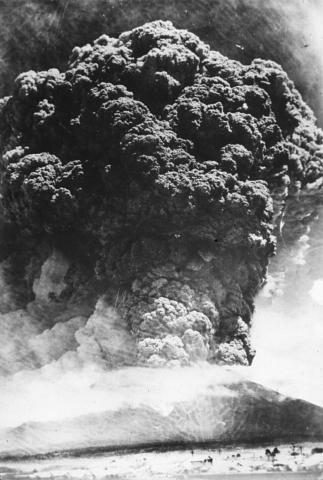 The eruption originated from vents in the 1929 crater (above and right of the summit of Komaga-take, the peak at the lower left) and from a 200-m-long N-S fissure. Eruptive activity, producing steam-rich ash clouds, was strong until March 7, and declined after March 12. Photo by Shin Engineering Company, 1996 (courtesy of Mitsuhiro Yoshimoto, Hokkaido University). Clouds of steam pour from a new eruptive fissure cutting the summit of Japan's Komaga-take volcano on March 7, 1996. A phreatic eruption began the evening of the 5th and deposited ash on snow. The eruption originated from vents in the 1929 crater and from a 200-m-long N-S fissure. Eruptive activity, producing steam-rich ash clouds, was strong until March 7, and declined after after March 12. Komaga-take is one of the most active volcanoes on Japan's northernmost island, Hokkaido. Photo by the Shin Engineering Consultant Company, 1996 (courtesy of Mitsuhiro Yoshimoto, Hokkaido University). The rolling, dune-like surface in the foreground consists of pyroclastic-surge deposits from the 1929 eruption of Komaga-take volcano. This 1991 south-flank view shows Kengamine (center), the sharp-peak summit of Komaga-take. It is the rim of a large horseshoe-shaped crater formed when the summit of the volcano collapsed to the east (right). Photo by Shinji Takarada, 1991 (Geological Survey of Japan). A pyroclastic-flow deposit from the 1929 eruption of Komaga-take volcano, on the northern Japanese island of Hokkaido, overlies a brown, pre-eruption surface. The upper part of the deposit contains large blocks of pumice; layers both depleted and enriched in finer-grained material occur at the base. A geological hammer provides scale. Photo by Shinji Takarada, 1992 (Geological Survey of Japan). A powerful plinian eruption cloud rising above the summit of Komaga-take volcano on June 17, 1929, is viewed from the town of Mori, NW of the volcano. The June 17 eruption, one of the largest of Komaga-take in historical time, produced pumice-rich pyroclastic flows that descended up to 8 km from the crater and a thick blanket of ash and pumice that caused extensive damage. The maximum reported cloud height was 13 km. Activity ceased on June 19, before briefly resuming on September 6. Photo courtesy of the Komaga-take Disaster Prevention Council, 1929. A plinian eruption column rises above Komaga-take volcano in northern Japan on June 17, the opening day of a major eruption in 1929. The column rose to a maximum height of 13 km and produced thick, pumice-rich pyroclastic-fall deposits around the volcano. Pyroclastic flows from the 1929 eruption, one of the largest in historical time from Komaga-take, also swept down the flanks of the volcano. This photo is from the shores of Onuma lake, south of Komaga-take. A blanket of pumice from the 1929 eruption of Komaga-take mantles streets and buildings in the town of Shikabe like a heavy snowfall. The following 3 samples associated with this volcano can be found in the Smithsonian's NMNH Department of Mineral Sciences collections, and may be availble for research (contact the Rock and Ore Collections Manager). Catalog number links will open a window with more information. Large Eruptions of Hokkaido-Komagatake Information about large Quaternary eruptions (VEI >= 4) is cataloged in the Large Magnitude Explosive Volcanic Eruptions (LaMEVE) database of the Volcano Global Risk Identification and Analysis Project (VOGRIPA).